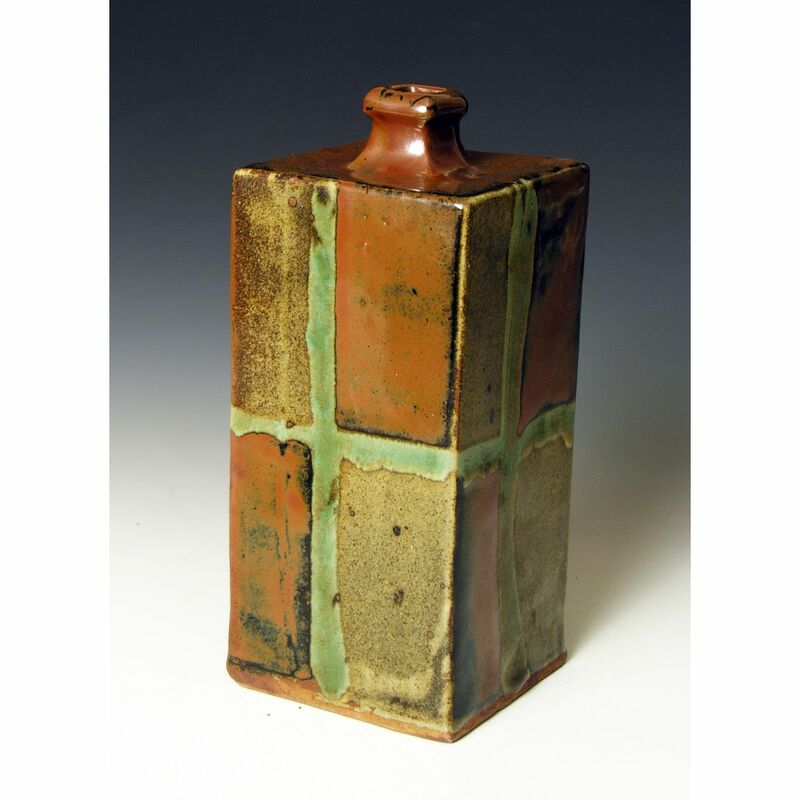 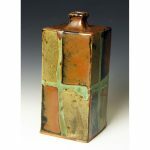 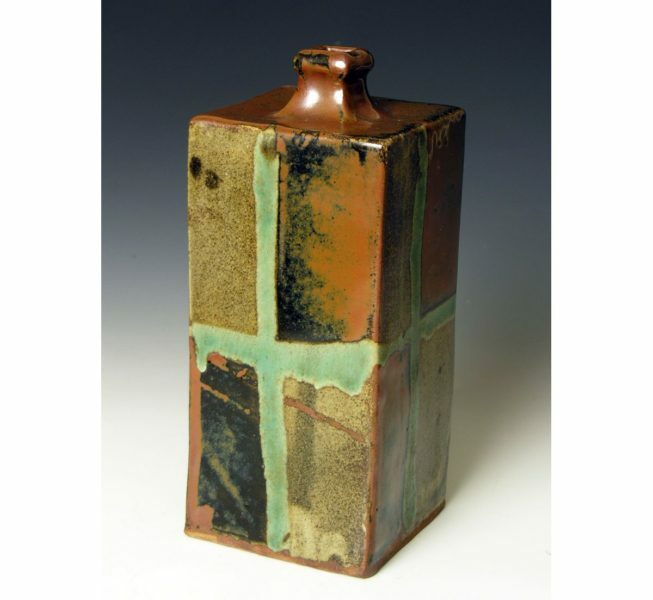 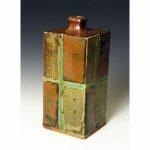 Hamada used these three glazes on a great many pots in varied ways. 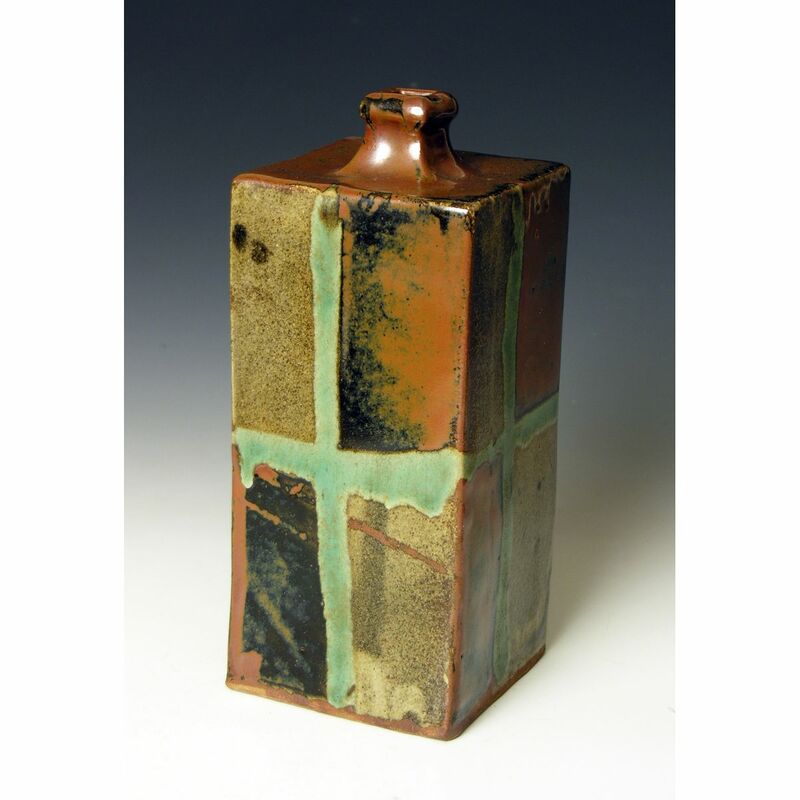 Here we have Kaki on a clear glaze and Seiji glaze ( Nuka with an addition of copper) trailed as a cross on each face. Wax resist keeps the glazes from overlapping.